Why Is Saudi Arabia Bickering With The U.S.? : Parallels The U.S. and Saudi Arabia are close allies, and when there's a problem, it's usually handled quietly. But in a rare display of public anger, the Saudis are expressing their strong opposition to U.S. policies toward Syria and Iran. Why Is Saudi Arabia Bickering With The U.S.? Over the past few weeks, Saudi Arabia has been sending unmistakable diplomatic signals that it is upset with the U.S. and its policies toward Syria and Iran. The Saudis have canceled a speech at the United Nations and rejected a prestigious seat on the Security Council. They have called in European diplomats in the Saudi capital, Riyadh, so the intelligence chief could tell them he was cutting cooperation with the U.S. The unusually blunt message is primarily about the war in Syria, says Abdel Aziz Aluwaisheg, the assistant secretary-general of the Gulf Cooperation Council. "Killing 100,000 people by conventional weapons is important and has to be dealt with the same sense of urgency as the chemical weapons issue," he says, referring to the death toll in the Syrian civil war. The chemical weapons issue erupted in August after an attack on a Damascus neighborhood. President Obama threatened military strikes, but at the last minute, opted for diplomacy. 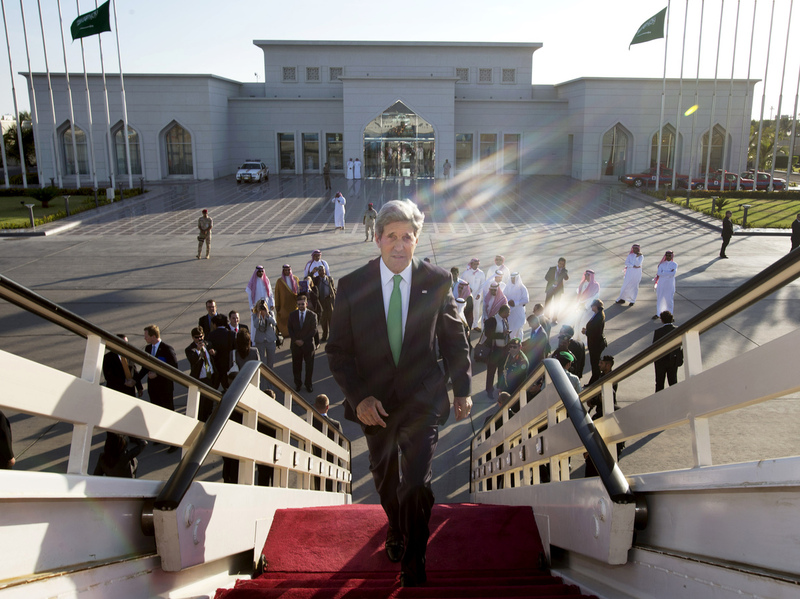 The administration's U-turn infuriated the Saudis, says Saudi specialist Gregory Gause. "The Saudis felt that we pulled the rug out from under them and they felt the United States wasn't following through on what it implicitly promised to do," says Gause, a University of Vermont professor who also works in the Middle East. In the Saudi view, instead of weakening Syria's President Bashar Assad, the Americans gave him a lifeline and effectively supported his continued rule, at least until the chemical weapons deal is done. In contrast, the Saudi policy is clear: They want Assad out, the sooner the better. "Syria is more important to them than it is to us," Gause says. Secretary of State John Kerry acknowledged the friction over Syria and Washington's outreach to Iran. "We know that the Saudis were obviously disappointed that the strike [against Syria] didn't take place, and they have questions about some of the other things that may be happening in the region," Kerry said. For the Saudis, the war in Syria is part of a larger regional contest within a set of alliances. The Syrians are backed by Iran, the Saudi rival for influence in the region. The fight against Assad is also a strike against Iran. "Syria is the best chance that they've had in 10 years to roll back Iranian influence, and if the Saudis can bring about a regime change in Syria, it's a big blow to Iranian influence in the Arab world," Gause notes. Secretary of State John Kerry, shown in Jeddah, Saudi Arabia in June, has acknowledged the recent tensions between the U.S. and Saudi Arabia, two countries that are normally close allies. Saudi frustration with U.S. policy had already led to moves not coordinated with the U.S. One example is on the battlefield in Syria. "We saw just a couple of weeks ago, the formation of a new front of Syrian rebels, called the Syrian Islamic Army," Grause says, "and the Saudis seem to be the driving force behind that." 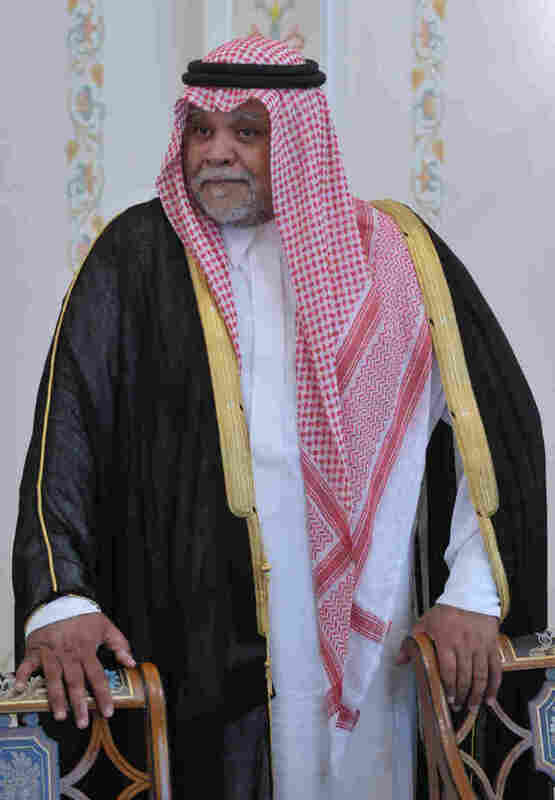 The Saudis continue to support the Free Syrian Army, the rebel group that is also backed by Washington. But the Obama administration has hedged on supplying weapons for the FSA, fearing those weapons could wind up with al-Qaida-linked groups. So the Saudis are funding and arming a force on their own. This new rebel formation appears to be a Saudi project to counter the appeal of extremists, says Aaron Zelin at the Washington Institute for Near East Policy. "In the Saudi conception of things, this group is considered a moderate alternative, though I would think that many in the West might consider otherwise," Zelin says. "They are obviously not extremists, but they are obviously not secular nationalists either." He says the Saudis are placing more emphasis on what's happening on the battlefield than on the negotiations to end the conflict in Syria. The Saudis have backed the diplomatic process, which includes talks planned for next month in Geneva. But Aluwaisheg says they are not counting on results. "They don't think you should put all your eggs in the Geneva basket considering the regime you are dealing with," he says. Aluwaisheg says it's unlikely that Assad will agree to negotiate his departure to make way for a transitional government. And the latest Syrian developments come at a time when the U.S. is looking at the possibility of rebuilding ties with Iran, Assad's closest ally. Gause says this has raised Saudi fears that any warming of U.S.-Iranian relations will come at the expense of the Saudis. It's a fear, he says, that is misplaced. "The thing that the Saudis and the other smaller Gulf states exaggerate is the fear that the United States is just going to sell them out to Iran," Gause says. "American interests in the Gulf region are not to have a power like Iran dominate the region."